Not a Seasoned Traveler Yet? I Need a Visa To Go There??? There’s no other city in America quite like multi-cultural Miami. It’s the most tropical city on the mainland U.S with plenty of warm sunny days, 12 months a year. Better yet, it has an abundance of things to do for solo travelers, couples, and families throughout Greater Miami. From hedonistic South Beach out to Alligator Alley in the Everglades, in Miami you’ll find things everyone enjoys, including both young children and teenagers. With so many options, however, you need to plan, especially in selecting a hotel that’s in the best location. After all, you don’t want to spend half your vacation driving or taking taxis long distances. To make that easier for you, I’ve partnered with Expedia to match my knowledge of the best attractions and things to do in Miami, with Expedia’s expertise in helping you find the right hotel in the best area. Miami Beach is an island approximately nine miles long, with the neon-lit streets of South Beach occupying its southern two miles. 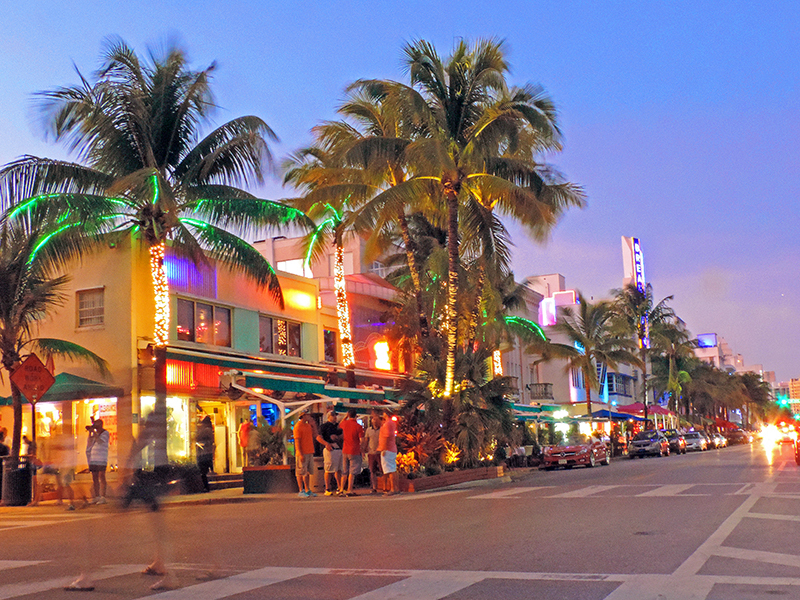 The very heart of famous SoBe is Ocean Drive, which winds from its southern tip up to 15th Street, separating myriad shops, raucous bars, and art deco hotels on one side of the street, from the beautiful broad beach and Atlantic on the other. Over the past few years, the northern edge of SoBe has stealthily crept up to 22nd Street, where the W Hotel now anchors it. The W is also the midpoint of the popular Miami Beach Boardwalk – perfect for walking, jogging, or biking – that links four miles of beach from 46th street southward. 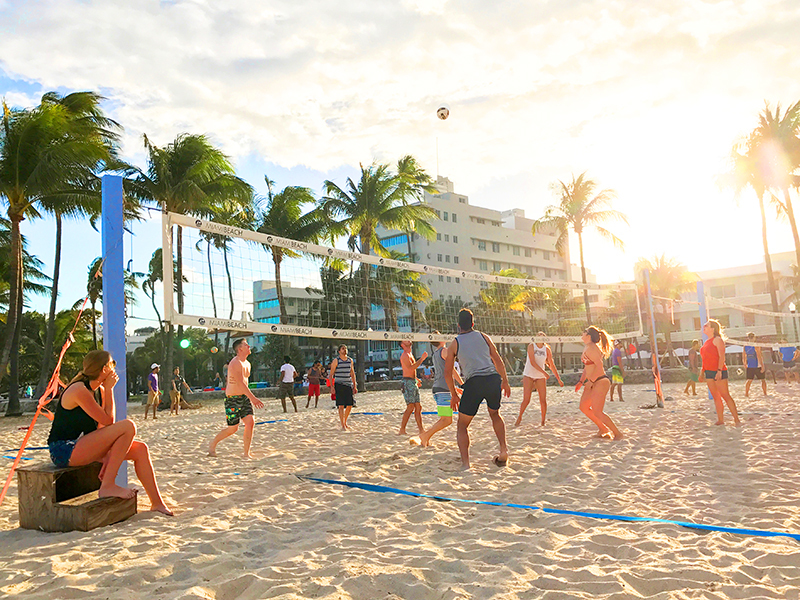 While on any given day thousands enjoy the beach, there are also plenty of other Miami attractions to keep you busy in South Beach. Start your day at the iconic News Café, perfect for breakfast and people watching. Take an interesting Art-Deco tour of South Beach and visit the small Bass Museum to view contemporary art. Don’t miss pedestrian-only Lincoln road, chockablock with name-brand shops and scores of cafes and restaurants. Where to Stay: If you’re planning to spend much of your time on the beach, it makes sense to stay there. There are countless hotels across mile-wide South Beach / Miami Beach. The most popular, as you might suspect, are the beachfront and bay-front properties, with more moderately priced hotels in the center of the island. Although many visitors don’t realize it, several Miami attractions are downtown, right along the shore of beautiful Biscayne Bay. Most are only a short walk or taxi ride from downtown hotels. In a downtown park on Biscayne Bay, is popular Bayside Marketplace, a waterfront open-air shopping and dining center. From here you can also take boat tours around the bay and its islands. If you’d rather stay on land, it’s only a 15-minute walk up Biscayne Boulevard to the newest major attraction in Miami, the much-heralded Frost Museum of Science. Next to it is the Pérez Art Museum, which, like the Frost, is directly across from the numerous cruise ships that dock in Port Miami. Both are a short walk from downtown hotels or a 10-minute taxi ride from South Beach. Across the causeway bridge adjacent to the Pérez is Watson Island, home to the colorful Miami Children’s Museum and popular Jungle Island, an eco-adventure park with some exotic animals. It’s best to take a taxi to them because of causeway traffic and slow public transportation. Where to Stay: If you plan to spend much time in downtown Miami, stay downtown. There are plenty of hotels here, the most popular located along Brickell Avenue and, to a lesser extent, Biscayne Boulevard. Staying a few blocks inland can yield lower rates. 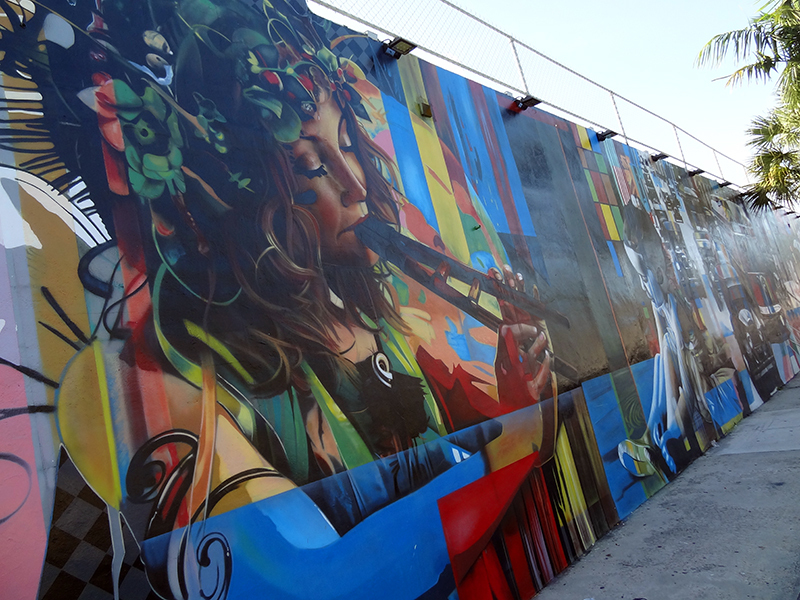 Two newly re-designed and re-invigorated areas of Miami – The Design District and the Wynwood Art District – are popular neighborhoods for both Miamians and visitors. Once a ghost town at night, the Design District now attracts crowds with restaurants, cafes and trendy boutiques, mixed in among designer home stores and upscale retailers such as Tiffany. Just a few minutes walk away from the district to the south, on the other side of the busy freeway, gritty and colorful Wynwood has become famous for its warehouses and old buildings covered with large-scale street art, some created by world-renown street artists. Throughout the area, you’ll find boutiques, galleries, restaurants, and bars giving the area a vibe reminiscent of New York City’s SoHo decades ago. Where to Stay: Since there are very few hotels in either the Design District or Wynwood, most travelers opt to stay downtown or on South Beach / Miami Beach, both a relatively short taxi ride away. The area south of downtown Miami can keep you busy for days. 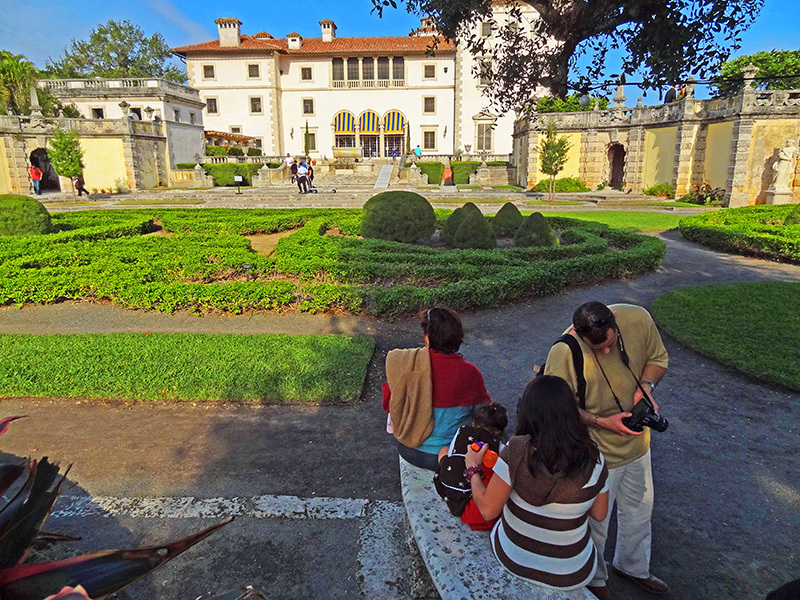 Visit the incredible Italian-style waterfront Vizcaya Museum and Gardens. It was the home of James Deering, of the Deering McCormick-International Harvester fortune. East of it, on the Rickenbacker Causeway that winds its way across the sea to Key Biscayne, is the family-friendly Miami Seaquarium, one of the oldest in the country. From Vizcaya, you can also drive two miles south to the cafes and chic shops of Coconut Grove. There you’ll find the bustling Greenstreet Café a convenient, and popular, place for breakfast or lunch. Another option from Vizcaya is to go two miles north to the Calle Ocho Walk of Fame, in the heart of the vibrant Cuban neighborhood of Little Havana. For a Cuban-American experience have lunch at Versailles, a restaurant popular among Cuban exiles for its cuisine and anti-Castro politics. Alternatively, you can also drive 3 miles directly west to upscale Coral Gables. Walk along its famous Miracle Mile, and be sure to stop by the historic Biltmore Hotel, a 10-minute drive. 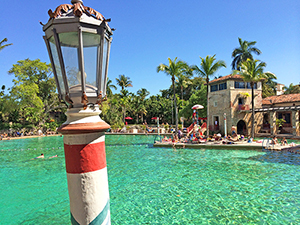 Be sure to see its lobby and outdoor pool, the latter one of the largest (and most ornate) in the U.S. A few blocks away is the landmark public Venetian Pool, complete with loggias, porticos, and palm trees. Where to Stay: If you plan to spend much of your visit south of downtown, you’ll find the best-located hotels in downtown Miami, Coconut Grove, and Coral Gables. Some of the things to do in Miami that many vacationers rave about require you to get off the beach and out of downtown. One of the most popular excursions is a trip to the Everglades, the largest wilderness area in the eastern U.S. You can take airboat rides through the Everglades – an adventure for everyone – as well as go on guided walks with naturalists. Most of these tours will pick you up at your hotel, so you don’t need a car. 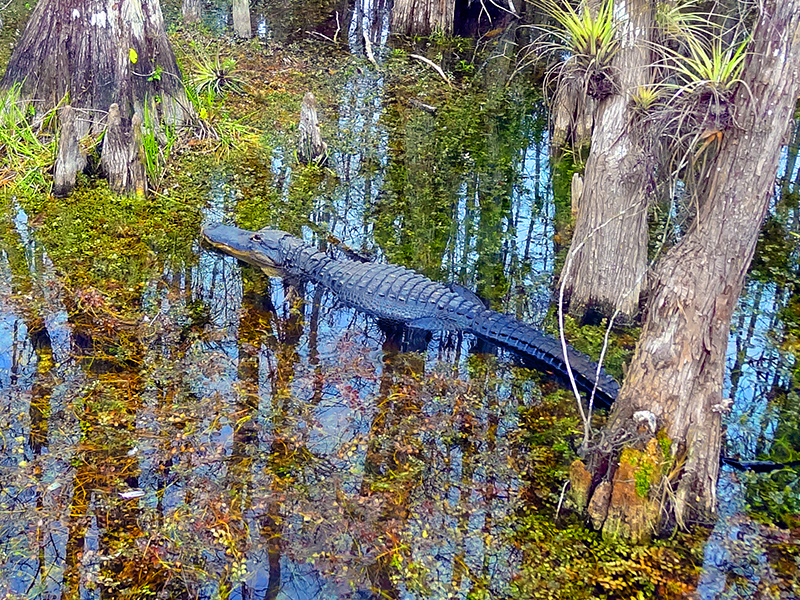 If you have a car, however, you can venture deeper into the Everglades and see alligators and more wildlife close-up not far off of Florida’s famous Alligator Alley. (See Florida’s Real Alligator Alley, which includes a map on how to reach the area from Miami Beach). Another of the favorite things to do in Miami is to visit Zoo Miami. You’ll enjoy it whether you’re solo, coupled, or with kids. It’s about a half-hour ride by car or two hours by public transportation. A better option than public transportation, however, is to take a tour with pick-up at your hotel. Ya know, I’ve been to WPB countless times but never made it down to Miami. This inspires me though, I like to see the diversity of things to do there! Caitlin – go for it! You’ll love it! I love Miami, it’s such an exciting city! Your post reminded me of the good time I had there, especially around Ocean Drive and the Everglades! Thank you for bringing back those amazing memories to me! Glad I could be of help! The Perez art museum and design distrct looks really cool. Of course, for those of us who live far away from alligators (thankfully), who could resist Alligator Alley! Thanks for the suggestions. 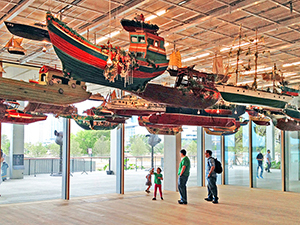 When one thinks of Miami, it is always South Beach, but I love the cultural attractions that you mention. 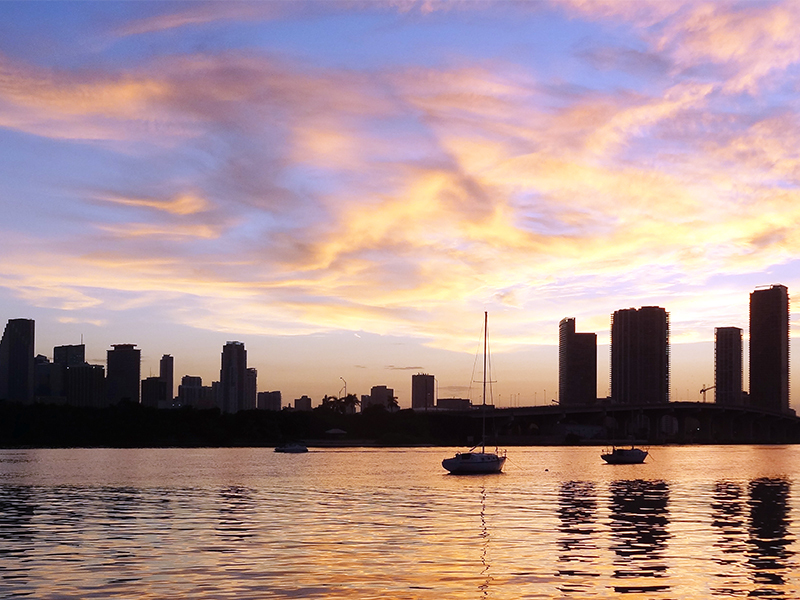 I’m a Miami fan – its really so colourful and you are absolutely on point – there is something for everyone there. You have some additional good tips there that i didnt know of – file away for next planned visit. On your next visit don’t forget to take a drive out to Loop Road. You need to go in the winter, however, since that’s when the gators come out of the cool water to sunbathe. In the summer they stay in the cool water to escape the heat. Miami sounds like such an exciting place to visit with activities for various interests! I’ve always wanted to visit the everglades and Miami Beach is on my list as well. Fantastic photos – so colourful! Are there safer areas of Miami that you’d recommend? Miami is as safe as any other U.S. city. As in any city in the world, just take normal precautions. I visited the US multiple times and visited a lot of places but never made it to Miami, as crazy as that might sound 🙂 I would definitely want to visit someday. It sure seems like a place that has something in store for everyone. Reading your wonderful Miami story makes me so happy just to think about it. I love how you divide up the different areas with nice descriptions of each. I hope to go again. Thanks for your story. Thanks Carla. I’m glad I made someone happy! You have completely sold Miami to me 🙂 I would love to visit it someday. I have only seen Miami is movies so far but never thought of it as my go-to place but reading your post makes me feel otherwise. I only ever hear about the beaches in Miami. I love beaches, but it is nice to know that Miami has some other things to do too like the art district. I’m only familiar with NYC soho in the more recent years, but I would love to check out what you are taking about. 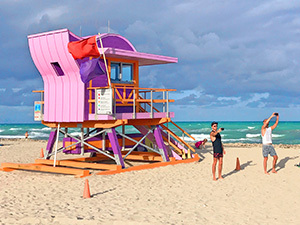 You would likely enjoy Miami since it not only has miles of beaches but also a tremendous amount of artsy activities. Its annual Art Basel art fair in December is one of the largest (if no the largest) art event in the world. If you enjoy any kind of art you’ll find it in Miami in December. Miami is one place that I really want to visit. The Design district and Art district sounds fascinating – from a ghost town to an upscale locality. Thanks for such a detailed guide. Yes, the Design District and Wynwood Art District are quite interesting. © 2019 James Ferri Associates LLC. All rights reserved. A Sprout New Media Website.